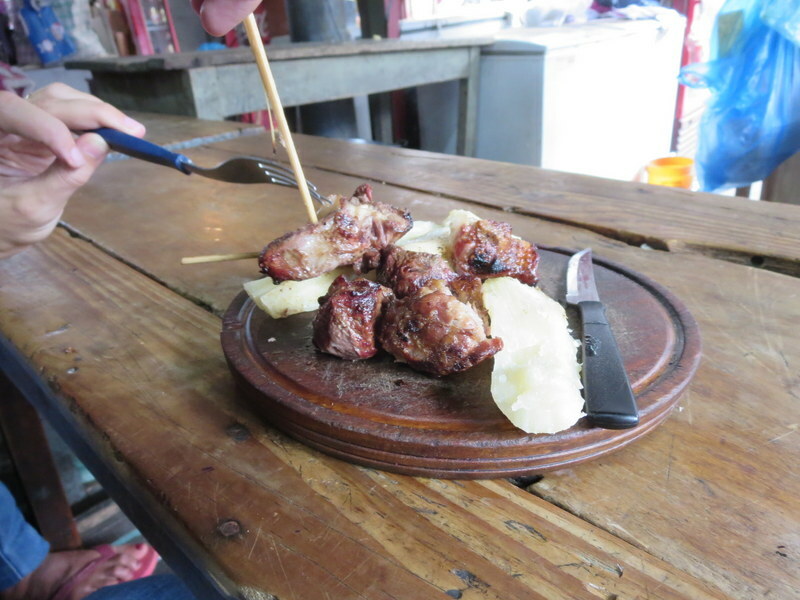 A Culinary Tour of the Southern Cone – Part I « Why did you click here? 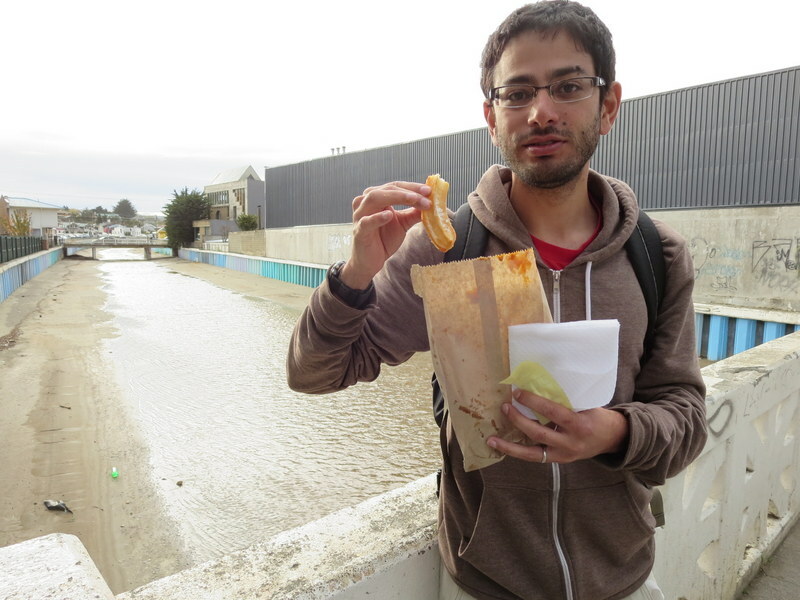 Everybody loves food, and even better to write about food is to show it! 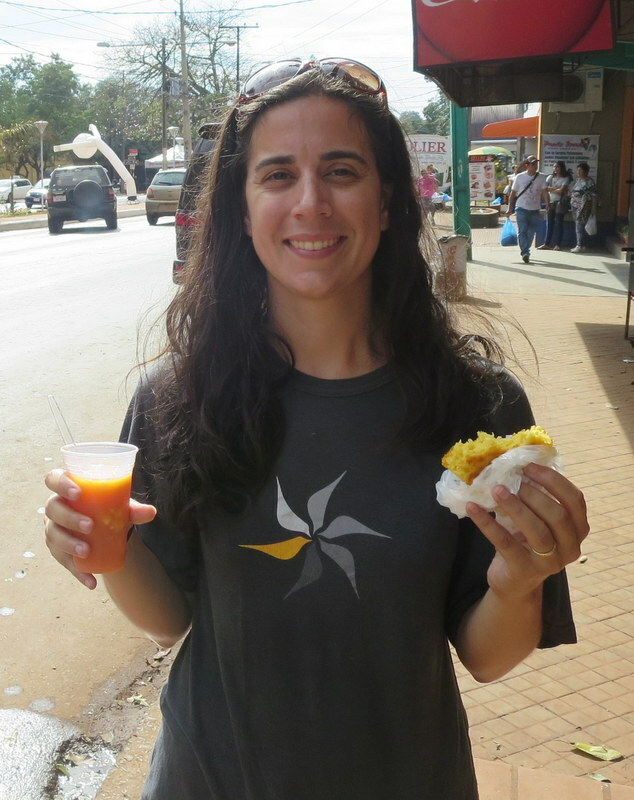 Now in Bolivia, we have completed our tour of the southern cone (which to me means Chile, Argentina, and Uruguay – but we visited Paraguay as well, so I’m just going to include it here). 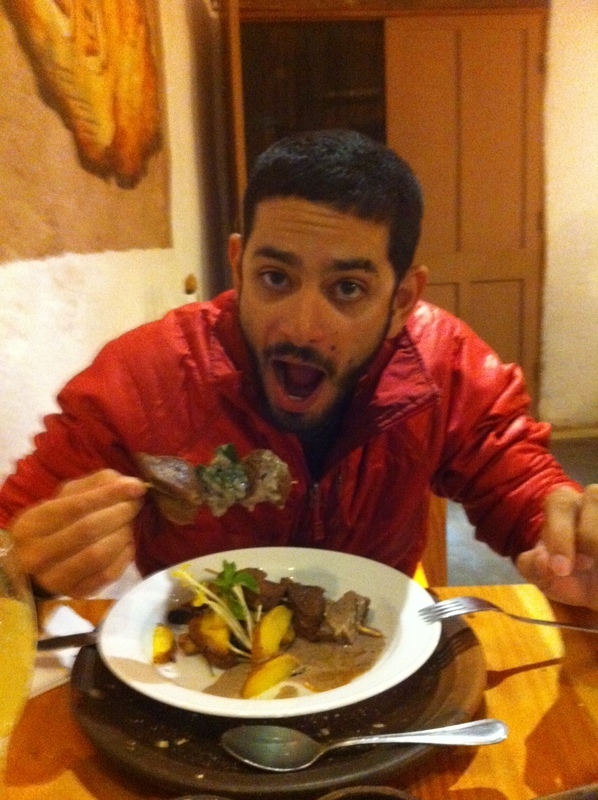 Given the length of time we spent and the variety of delicious foods, Argentina will just have to occupy its own forthcoming post (which will do little to diminish their ever-present vanity for all things Argentine). 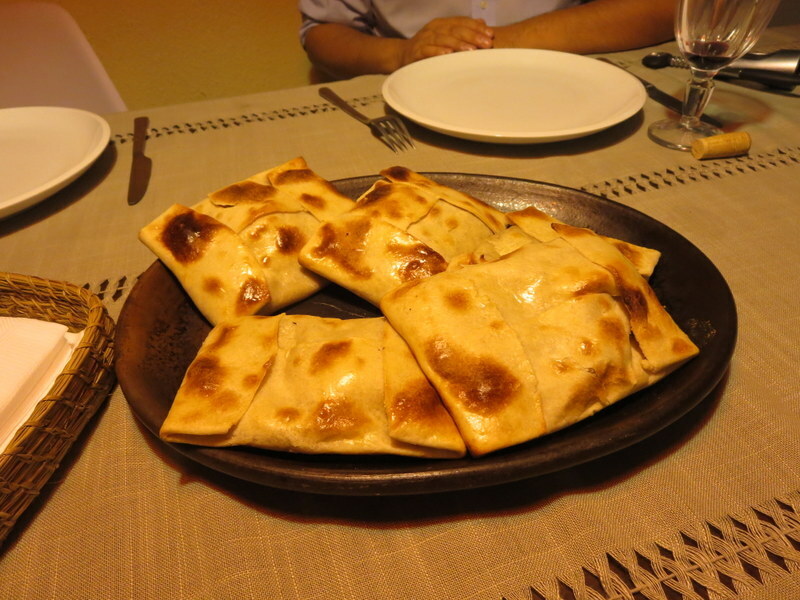 Pino empanadas – beef, a hard boiled egg, and an olive. A Chilean classic! 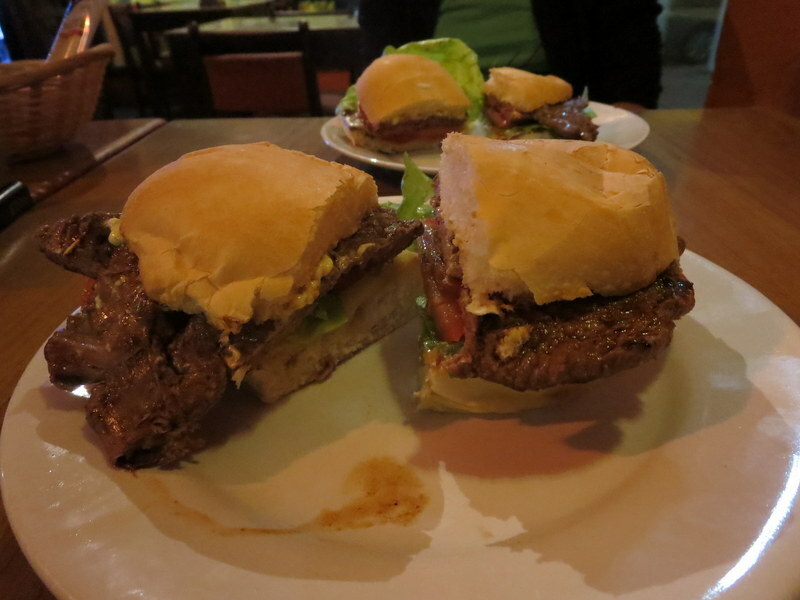 Another famous Chilean speciality – the completo! A hot dog, or in this case two hot dogs, smothered in yet more mayonnaise, cheese, vegetables, and various other toppings. 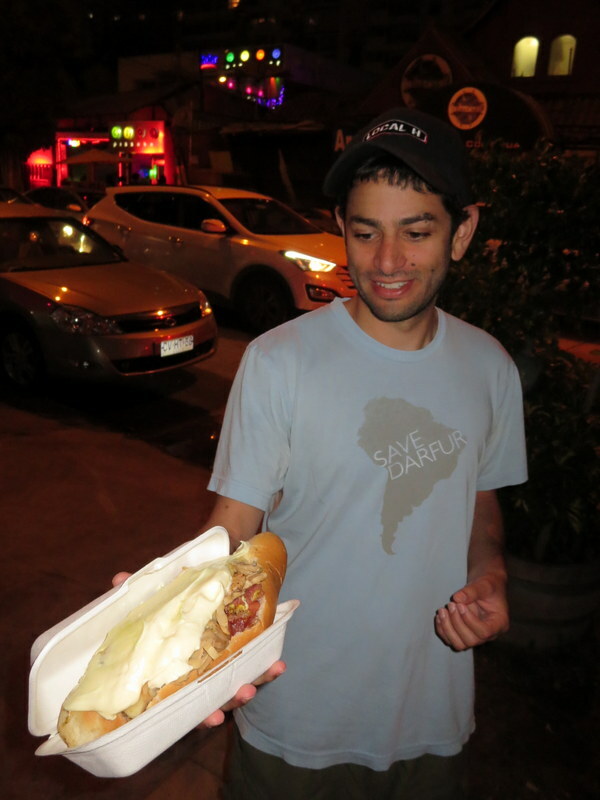 This was purchased from the also famous Sibaritico in Vina del Mar, where Anthony Bourdain even got one once. They also make their own mayonnaise there, so Hellman’s lost some business on that one. Cuddly guanacos, a llama cousin, make for great photo opportunities, but also fit nicely on a plate. Curanto is a seafood medley encompassing clams, mussels and multiple varieties of fish, in addition to various meats and potatoes, all cooked in a hole in the ground. 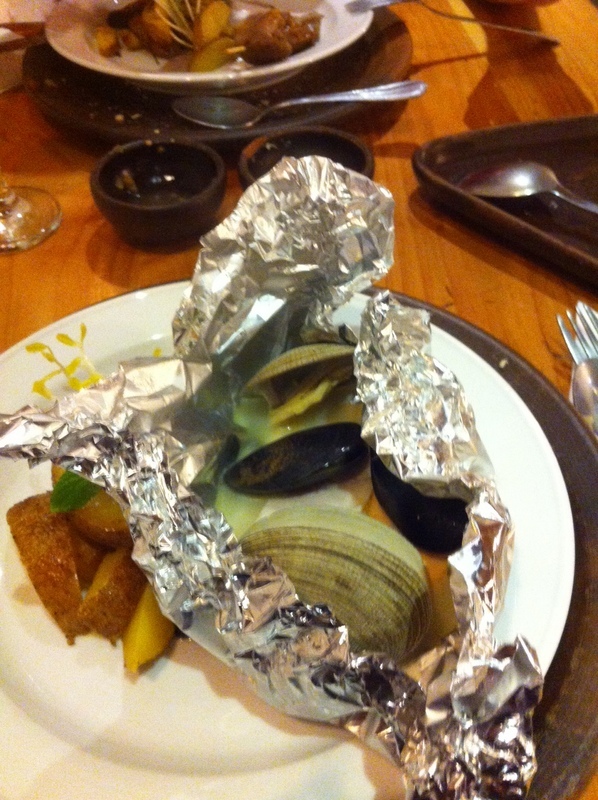 The tinfoil did not taste as good as the rest. Churros! Need I say more? 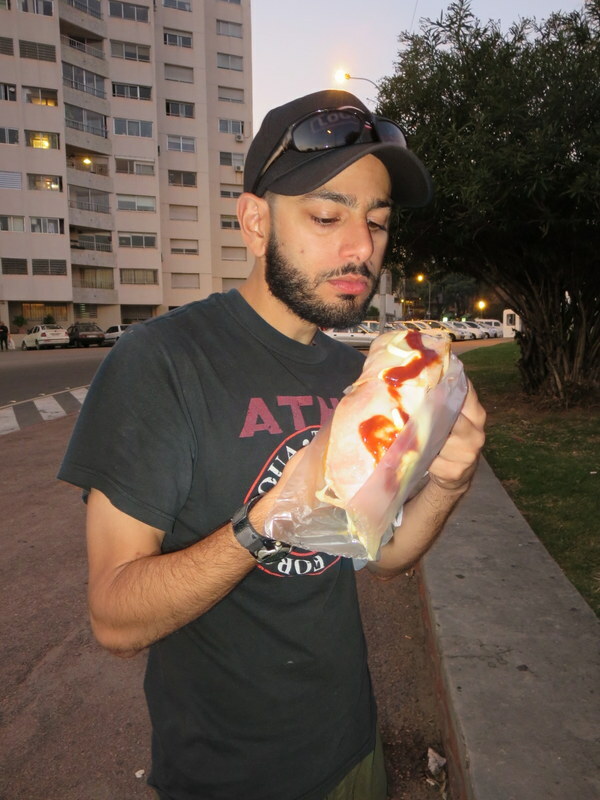 While in Chile a large hot dog with everything you could imagine on it is a completo, in Uruguay it’s a pancho – both ertain the ratio of a kilo of mayonnaise per hot dog. Uruguay also does up its Sunday bbqs – in this case we got a pizza chicken, or literally cheese and sauce atop a grilled piece of chicken. 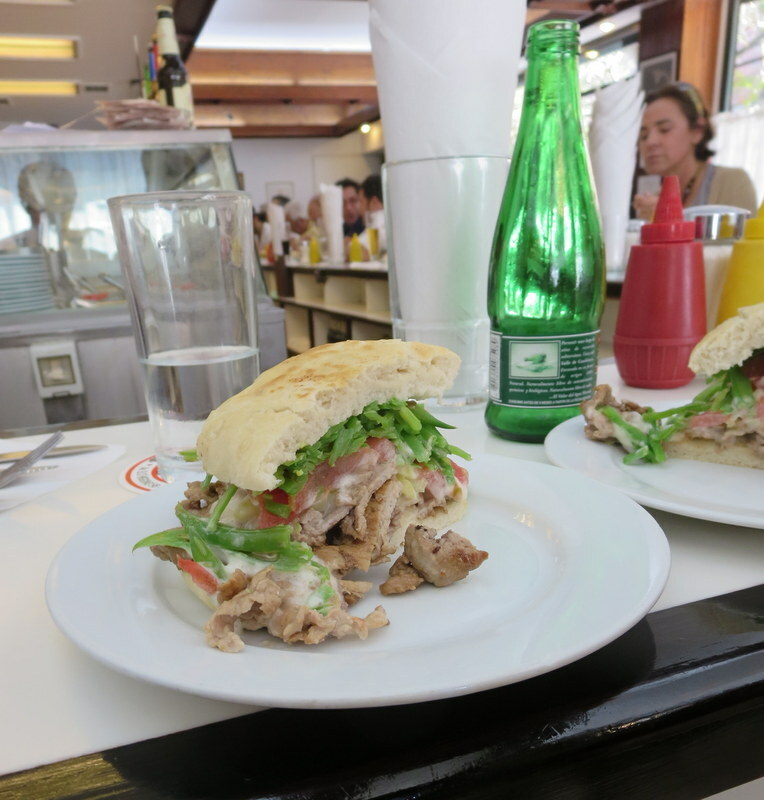 Poor Paraguay is often overlooked, but it does has some specialties of its own commonly found on the street, such as a food drink salad and chipa guasu (i.e. Paraguay cornbread). If you ever find yourself lost in the chaos of the markets of Ciudad del Este, take a deep breath, walk west, and don’t stop until you hit a Quiero Fruta. 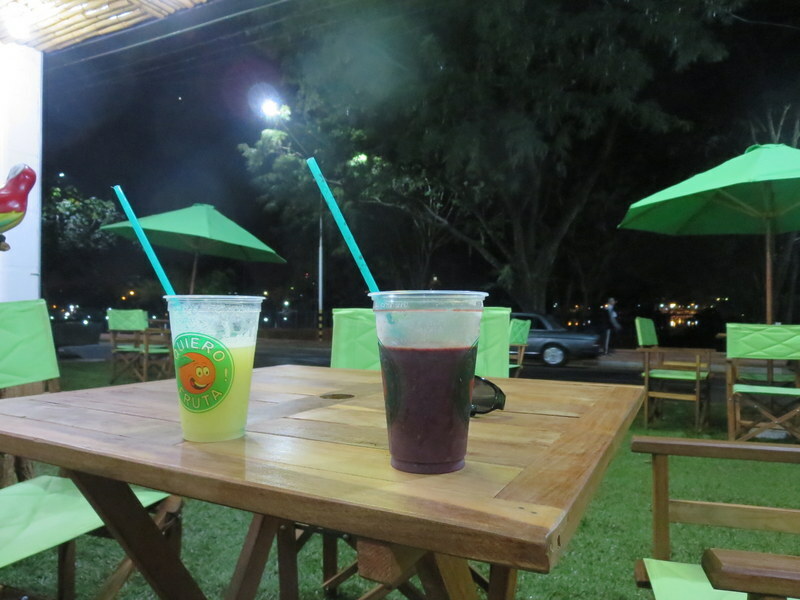 While juices are found everywhere in all four countries, this stand has it going on. 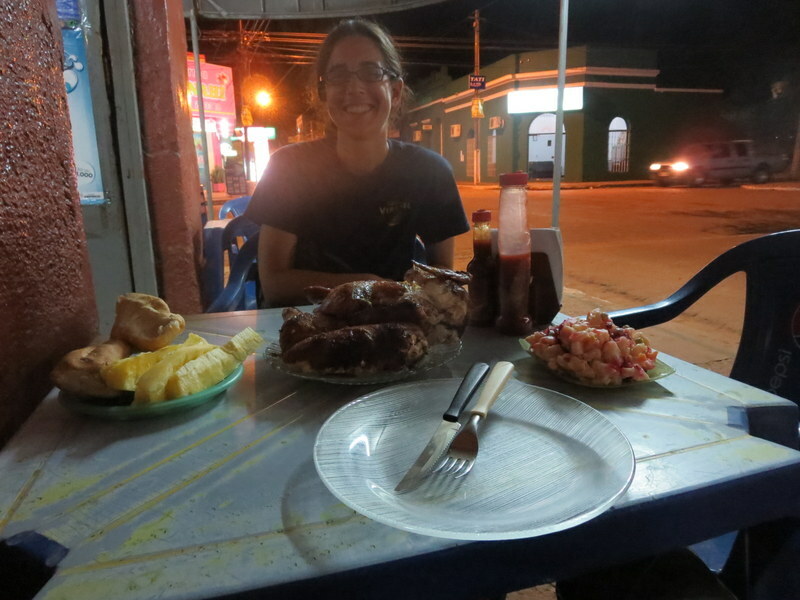 Meat is just often so much better when grilled on the side of the street. Throw in some yuca too for girth. And of course, don’t forget that you can get an entire chicken meal for a few bucks! 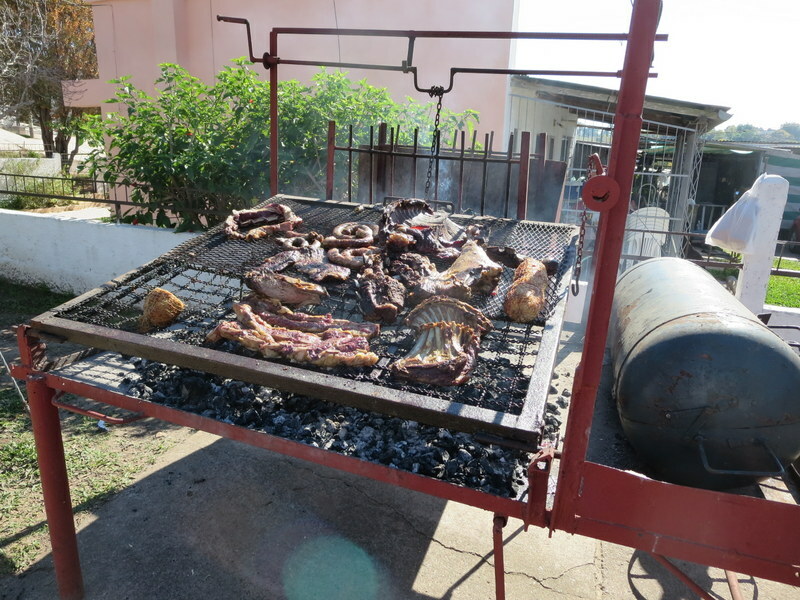 This entry was posted in South America Trip and tagged Chile, Food, Paraguay, Uruguay. Recent Posts: Why did you click here?